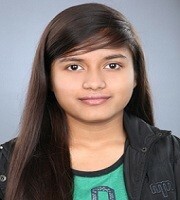 Madhulika Raj Singh was born on July 06, 1999 in Varanasi, the holy city of eternal knowledge and spiritual bliss, Uttar Pradesh, India to Ms. Vrinda Singh and Mr. Rajkumar Singh. She inculcated a habit of reading fictions by scholarly literati of English and Hindi from her early childhood. As the consequence of the study of these two languages which originated diametrically opposite of the globe, she got her mind ignited and a fountain of creatively gushed out of her thoughtful reflections. Madhulika Raj Singh contributed to the anthology The Melodies of Immortality by Vijay Kumar Roy. Her poem appeared in Bal Guru, (A Hindi Daily)and she also anthologized by P. Gopichand and P. Nagasusheela.She is a young Indian poet of childhood wishes whose poems are amazing bouquets carrying dreams, hopes and fears that a young suburban feminine adolescence cherishes. 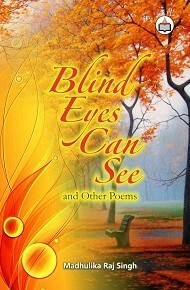 Her poetic ventures reveal a world of unknown mystery where her childhood dreams and fears from the supernatural and supra-natural shady things mingled with the hopes and dreams of her youth and got their trans-existent existence painted on literary canvas through words flowing out from her nimble pen.